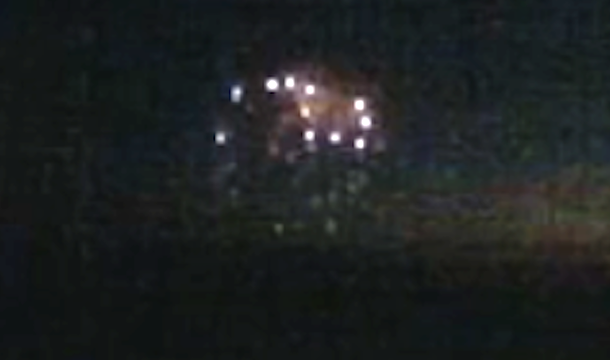 UFO SIGHTINGS DAILY: Globular UFO Over Puerto Vallarta, Mexico Caught On Live Cam, May 23, 2016, Video, UFO Sighting News. 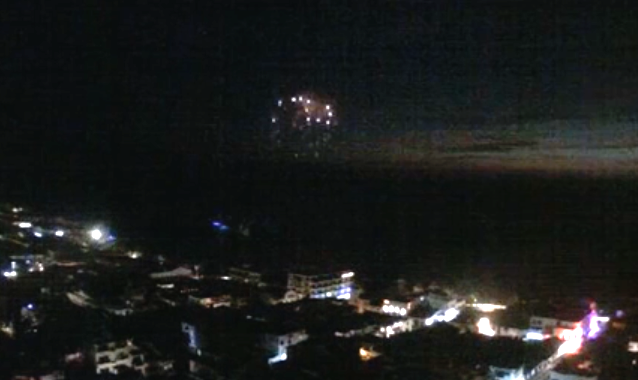 Globular UFO Over Puerto Vallarta, Mexico Caught On Live Cam, May 23, 2016, Video, UFO Sighting News. This video is from a live cam which takes still shots every few seconds. I believe the area and cam used is the Puerto Vallarta Sur area. I have uses a lot of these cams before in search for UFOs and I am amazed at this globular UFO thats has glowing orbs around it surface. I believe it was seen only because it was nighttime and it passed by a camera that switches on some infrared LEDs (flashlight beams out) and was caught as it flew past the camera.This is new...I've never seen this type of UFO before, wow, just wow! This is a great video by SecureTeam10 with some interesting insight into the UFO.